Human Rights Activists News Agency (HRANA)- Since Iranian truck drivers announced a new wave of strikes on September 22nd, 261 striking drivers in 19 different provinces have been arrested. As authorities threaten detainees with the worst, their tenacious movement continues to push forward, obtaining small victories along the way. Iranian General Prosecutor Mohammad Jafar Montazeri recommended harsh punishment for the detained drivers, previously assessing the strikes as a form of banditry, which he iterated “can be punishable by death.” Ghazvin Prosecutor Mohsen Karami announced that 17 of the detained drivers were being charged with “creating insecurity” and “disturbing public order,” and has called for the death penalty. In a press release, the International Transport Workers Federation (ITF) expressed concern over these threats. “ITF affiliates globally are urging the Iranian government to listen to their truckers’ demands. It is economic solutions that are needed. Not threats of executions.” Transportation unions in the US and Canada, along with multiple news agencies and international federations, have gone public with similar concerns and statements of solidarity with the truckers. In talks with news agencies, state authorities claim to already have resolved the tire shortage, i.e. one of the truckers’ most pressing demands. 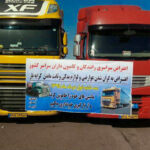 However, Head of the Truckers’ Guild Association Ahmad Karimi told Iran Labour News Agency (ILNA) that only 50 thousand tires have thus far been distributed into a market that is in urgent need of 300 thousand more. “One of the truck drivers’ issues [with the system] is that the tires have no fixed price on the market, and representatives [of tire producers] set the price arbitrarily,” he added. One truck driver told HRANA that a channel in Bandar Abbas ran a “false” broadcast of customs officials inspecting tires purchased in Iraq and Azerbaijan, with the claim that it was footage of tires being distributed to drivers. The Truckers’ Guild Association listed 15 demands in its call to strike on September 22nd, among them an increase in pensions, the lowering of tire and auto-part prices, a 70% increase in the freight rate, cheaper insurance premiums, the elimination of go-betweens at terminals, and punishment of officers who arbitrarily demand bribes from drivers. Human Rights Activist News Agency (HRANA) – Rajai Shahr prisoner of conscience Ebrahim Firoozi has written an open letter in support of Iranian truck drivers, who authorities have arrested in droves since they began striking September 22nd. As the trucker strikes approach their 21st consecutive day, 261 arrestees face “corruption on earth,” “disrupting public order”, and “robbery” charges. As the country’s top prosecutor Mohammad Jafar Montazeri has emphasized to strikers, some of these charges carry the death penalty. 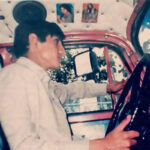 In his letter, Firoozi tells authorities that continued arrests “won’t stop truck drivers from pursuing their rights,” and criticizes them for “arresting the drivers rather than solving problems rooted in [authorities’] incompetence and lack of foresight.” The truckers are demanding more affordable truck parts, better compensation, and a crackdown on bribery in the industry. Firoozi, a Christian convert, has a long history of imprisonment due to his religious activities, including a September 16, 2013 arrest. He was convicted in Spring 2016 of “forming a group with intent to disrupt national security” by Judge Moghiseh in Tehran Revolutionary Court Branch 28. Tehran Appeals court later upheld his five-year prison sentence. Human Rights Activist News Agency (HRANA) – As they make it past the two-week mark, Iranian trucker strikes look nowhere near relenting, and authorities are taking notice. As of the date of this report, 244 individuals have been arrested in connection to trucker strikes across multiple cities, including but not limited to Shahr-e Kord, Bandar-e Imam Khomeini, Ahvaz, Susangerd, Najaf Abad, Isfahan, Shiraz, Bushehr, Aligudarz, Urmia, Yazd, Zarrin Shahr, Bandar Abbas, Tiran, Miyaneh, Behshahr and Ghuchan. While broadcasts from state-sponsored news agencies declared on October 6th that the protests were losing steam, the truckers have yet to back down. The same day, the General and Revolutionary Prosecutor of Shahr-e Kord announced that six more protestors had been detained. Prior to October 6th, 238 individuals connected with the strike had already been detained and booked on charges of corruption on earth, disturbing public order, and banditry. Prosecutor Mohammad Jafar Montazeri previously threatened the detainees with heavy sentences, reminding them that their charges are punishable by death. Strikers in multiple provinces are taking the risk: Qazvin, Alborz, Ardabil, Isfahan, Fars, Semnan, Kermanshah, Zanjan, Hamadan, Northern Khorasan, and cities of Nahavand, Bujnurd, Kangan, Pakdasht, Nishabur, Shirvan, Azarshahr, Gorgan, Bandar-e Gaz, Izeh, Razan, and Zaran provinces have seen arrests so far. Ahmad Jamshidi, Transportation and Terminals Manager of Chahar Mahal and Bakhtiyari province, also commented on tire influx, stating that 2711 tires had thus far been distributed among regional truckers. HRANA previously reported on authorities’ reactions to the truckers’ continued strikes, which have been active since September 23rd. On that date, the Iran National Truck Driver’s Trade Union called on truckers to cease their operations until authorities fulfilled a list of 15 conditions, including an increase in pensions, a decrease in part prices, a 70-percent increase in wages, a decrease in insurance premiums, and a crackdown on bribery in the industry. Human Rights Activist News Agency (HRANA) – The Iranian truckers’ strike entered its eleventh day on Tuesday, October 2nd, catching fire in additional cities where 15 more were arrested and public prosecutors have begun threatening participants with the death penalty. The total number of arrestees is now at 171. Cities currently host to strike activity and its corollary transport stoppages include Tehran, Isfahan, Arak, Qom, Bandar Abbas, Sirjan, Mashhad, Yazd, Tabriz, Sari, Kashan, Bukan, Khosroshah, Dezful, Rezvanshahr, Karaj, Dorood, Marvdasht, Garmsar, Khorramabad, Meshkat, Naqadeh, Malayer, Bandar Imam Khomeini, Ardakan, Sirjan, Shahr Babak, Shirvan, Sanandaj, Gorgan, Shahroud, and Zarinshahr. Hadi Mostafavi (General and Revolutionary Prosecutor in Nahavand, Hamedan Province) and Ali Pakdel (police chief of Bojnord, Northern Khorasan Province) recently confirmed that four people had been arrested in each of their respective cities. Eighty-one citizens had already been arrested this past week in the provinces of Qazvin, Alborz, Ardebil, Isfahan, and Fars, as well as in Pakdasht Country, Tehran province. Arrestees in the latter-named regions stand charged with both “disrupting order and security” and a second charge that has been known to carry the death penalty: Qata al-Tariq, i.e. “banditry” or highway robbery. Iran’s National Prosecutor Mohammad Jafar Montazeri evoked Qata al-Tariq as a charge that could potentially be leveraged against the strikers. He was echoed by Fars Province Judiciary Head Ali Alghasimehr, who added that strikers were exposing themselves to charges of “corruption on earth,” also punishable by death. Strikes have been active since September 23rd when the Iran National Truck Driver’s Trade Union called on truckers to cease their operations until authorities fulfilled a list of 15 conditions, including an increase in pensions, a decrease in part prices, a 70-percent increase in wages, a decrease in insurance premiums, and a crackdown on bribery in the industry. HRANA has been able to confirm the strike’s disruption of usual commercial activity, per interviews with industry professionals: Head of Tehran Poultry Farm Union Mohammad Yousefi recently stated that food prices have risen as a result of the strike, due to stalled cross-country transports of chicken meat, while a group of Afghan merchants complained that the strike has stalled the transport of their goods to Afghanistan. According to Minister of Industry, Mine, and Trade Mohammad Shariatmadari, the truckers’ long-awaited supply of tires is already available thanks to improved distribution via the Iran Road Maintenance and Transportation Organization (IRMTO), a subsidiary of the Roads and Urban Planning Ministry. Soon, he predicted, 80 million dollars will be allocated to the import of tires every month. According to previous comments from Deputy Head of IRMTO Daryoosh Amani, the Industry Ministry refused to fulfill truckers’ past demands for tires. Yet Seyyed Hassan Hosseini Shahroudi, vice-chair of parliament’s Economic Committee, imputed both the IRMTO and the Ministry of Roads and Urban Development for falling short of truckers’ needs. More than 153 MPs backed the truckers’ demands in a letter addressed to President Hassan Rouhani, which was recently read to parliament by Akbar Ranjzade, a member of the Islamic Consultative Assembly Presidium. In another recent speech, Ranjzade delivered a double-edged message to a gathering of truck drivers in Asadbad, Hamedan province. In one breath he promised their demands would be addressed; in another, he made it known that they were flirting with capital punishment. Human Rights Activist News Agency (HRANA)- As the most recent round of truckers’ strikes entered its 6th day on September 27th, dozens of truckers had been arrested by security forces. 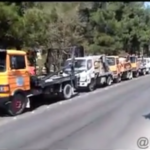 Stalling commercial transport across several Iranian cities–including Shahr-e Kord, Ardabil, Nain, Karaj, Isfahan, Arak, Nishapur, Zarrin Shahr, Urmia, Sabzevar, Rafsanjan, Qazvin, Dezful–striking drivers heeded the call of the national truck-driver’s trade union to cease their operations until authorities addressed their demands, including an increase in pensions, subsidized pricing for parts, 70+% hikes in fares, payment of drivers’ insurance premiums, the removal of brokers from terminals, and increased supervision of officers and agents, positions that have proven susceptible to bribes in the past. In wake of the industry unrest, local prosecutors have confirmed the arrests of multiple truck drivers; as of the date of this report, Qazvin Prosecutor Esmail Sadegh Niaraki, the Karaj Prosecutor, and the Ardebil Public and Revolutionary Prosecutor Naser Atabati announced the arrest of 15, 7, and 8 truckers in their respective jurisdictions, claiming that the detained drivers had disrupted public order by blocking the roads. 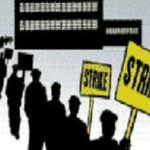 Reports indicate at least 30 strikers in various cities have been arrested since the strikes first began on Saturday, September 22nd. On Thursday, truck drivers received text notifications of fuel allotments for drivers who didn’t participate in the strike and who can provide a bill of lading. These messages are reportedly an attempt by authorities to deter the ongoing protests. Head of Tehran Poultry Farm Union Mohammad Yousef opined that the shortage and rising prices of poultry (currently $1USD (100 thousand IRR) per kilogram) could be resolved if the striking truckers were to resume their usual routes. Roads and Urban Development Ministry Deputy Abdol-Hashem Hassan Nia claimed that road freight transportation is ongoing, and promised a more consistent supply of domestic tires for truckers. He indicated that leveraging more of the country’s tire supply from a government supply organ known as the Organization for Collection and Sale of State-owned Properties of Iran (OCSSPI) would be the next step in the resolution process. 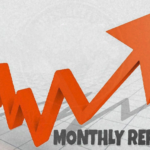 “Also, on orders from the vice president, the import tariff on tires will be reduced to 5%, which should accelerate the importation,” Nia said, estimating the resultant supply increase could resolve the road fleet’s tire complaints within a month. HRANA previously reported on the fifth day of the nationwide truck driver strikes and the reactions they drew from authorities. Human Rights Activist News Agency (HRANA) – A strike that started September 21st in the Iranian trucking industry continued for its fourth consecutive day, causing long delays at gas stations and spikes in the price of produce that drivers refuse to mitigate until authorities take action to resolve their complaints. Stalling commercial transport across several Iranian cities–including Tehran, Arak, Sari, Qazvin, Asadie, Bandar Imam Khomeini, Khomeyn, Isfahan, Varzaneh, Shahr-e Kord, Abhar, Kermanshah, Darab, Ardabil, Shahr-e Babak, Ziabad, Shiraz, Zanjan, and Kazerun–striking drivers are heeding the call of the national truck-driver’s trade union to cease their operations until authorities concede to increase truck driver pensions, reduce the price of truck parts, increase driver wages by 70 percent, lower insurance premiums, and crack down on corruption in the industry. Fuel stations short on truck-supplied petrol are struggling to serve the long lines of customers forming at the pump as the strike wears on. Meanwhile, potato and tomato prices have reportedly increased in certain localities. This is reportedly the third coordinated truck drivers’ strike to occur in the span of a few months. The first two each lasted ten days, beginning, ending, and resuming when authorities failed, promised, and failed again to make good on their verbal engagements. Hassan Nasiri, head of a truck-owners’ co-op in Jooybar, said that the biggest frustration hindering truck drivers was the inadequate provision of truck tires and parts, adding that the quantity of parts supplied by the Industry Ministry to the truck-owners’ union has not been sufficient in meeting the demand. In an interview with the Iranian Students News Agency (ISNA), head of the Alborz province truck-owners union Naser Kaviani said he was hopeful that their principle issues, such as the shortage of motor oil and parts, could be resolved with a reduction of market prices. In a meeting with authorities including the Isfahan provincial governor, head of the national truck-owners union Ahmad Karimi, who is also from Isfahan province, said he was promised the provision of the sorely needed parts. According to Daryoosh Amadi, deputy head of the Iran Road Maintenance and Transportation Organization, or IRMTO, a subsidiary of the Roads and Urban Planning Ministry, the Industry Ministry refuses to fulfill drivers’ demands for tires. Human Rights Activists News Agency (HRANA) – A number of truck drivers have begun strikes in Iran’s second and third largest cities, Mashhad and Isfahan. on August 25th, truck drivers who work for a department of the Mashhad municipality responsible for collecting dust and construction materials gathered in front of the department to make their demands. A number of truck drivers in the central city of Isfahan also stopped work and gathered on Shapur Street. Lack of attention to their demands by authorities, severe livelihood problems, low wages and high repair costs are among the reasons behind the strikes. Videos published on social media show truck drivers also striking in the southwestern city of Ahvaz. HRANA is in the process of confirming these reports. 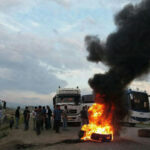 HRANA had previously reported on the truck drivers’ strikes in the month of June and the reaction of authorities.